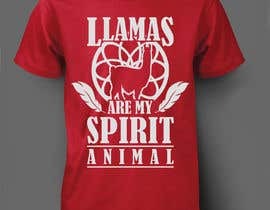 I am looking for two designs for t-shirts. The basic design will be similar but the wording and picture in the middle will be different between the one and the other. 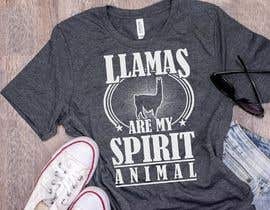 One design will say "LLAMAS ARE MY SPIRIT ANIMAL" and will have a picture of a llama on it, and the other design will say "ALPACAS ARE MY SPIRIT ANIMAL" and will have a picture of an alpaca on it. 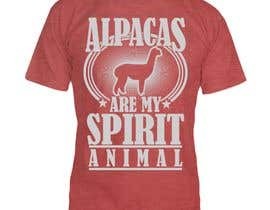 I am looking for just a one color design. 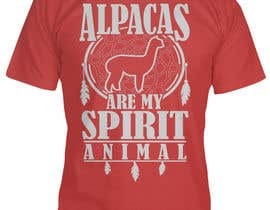 I have attached a picture of a t-shirt like this that I like, but I would like to change the animal shape in the middle, along with the design behind the animal. 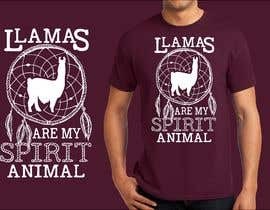 Other than those few changes, I would like the shirt to look pretty much like the shirt picture I attached...including the font. 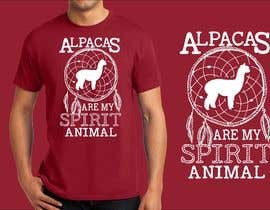 The shirt will be a similar color, with a similar color text (light grey or light beige) But, please feel free to send me your creative ideas for the shirts also. 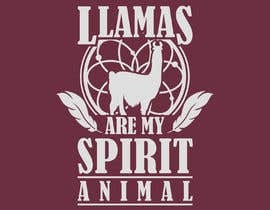 I have also attached the animal shapes I would like to use..one llama (the first silhouette in the upper left of the group of llamas) and the other an alpaca, along with a couple of background shapes that I like. ...please feel free to try other background shapes as well. I like the middle dreamcatcher in the group of three the best, or the single one on the right. The feathers on the dreamcatcher (background shape) are optional. if they can be worked into the design great, but if they make the design to cluttered, you can take them out. The design needs to fit on the front of an adult unisex t-shirt.